The Airbus A380 weighs over 300 tons empty and, as of the year of our Lord 2018, is the world’s biggest passenger airliner still in production. Alas, all things must die and, as The New York Times reports, the A380, too, might soon die. 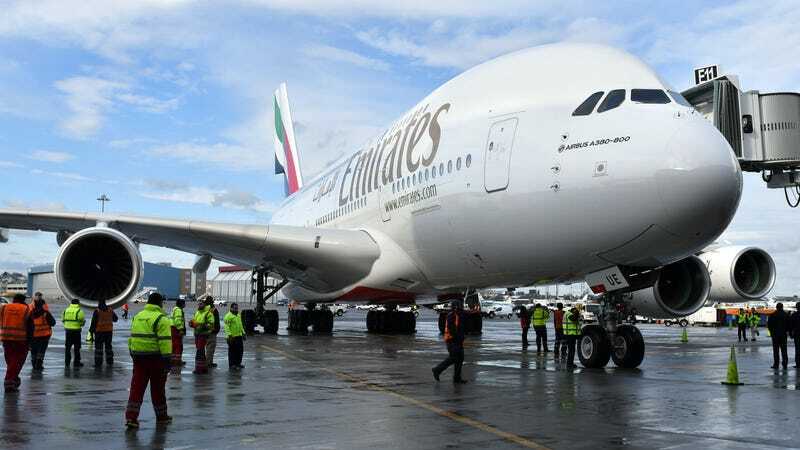 The only airline left still purchasing the plane is Emirates, and John Leahy, Airbus’s chief operating officer, said that if Emirates stops ordering, that’s likely the end for the A380. The problem is it was designed to be really big, since Airbus expected the world’s biggest airports to get ever busier when they unveiled the plane in 1995. What happened instead, as the NYT notes, is that airlines went smaller, and instead of using big airports started taking off and landing at mid-sized ones in smaller planes. In short, very few people want or have the need for one humongous plane. Airbus builds at least six A380s a year, and, despite the headwinds (heh, get it, little airplane joke), Leahy thinks that the double-decker A380 might still have a future since air travel does keep increasing overall. It’ll probably just keep increasing in smaller planes, though.